For the past nine years, English National Ballet has used its annual Emerging Dancer Award as a way to showcase artists within the company. Selected by their peers, ENB's six up-and-coming finalists will each perform in front of a panel of judges and a public audience on June 11 at the London Coliseum. Not only does the winner walk away with the Emerging Dancer Award, but the competition has served as a good predictor of future ENB stars (our October/November cover star, Cesar Corrales, won the award in 2016). Adams in "Elite Syncopations." Photo by Bill Cooper, Courtesy English National Ballet. 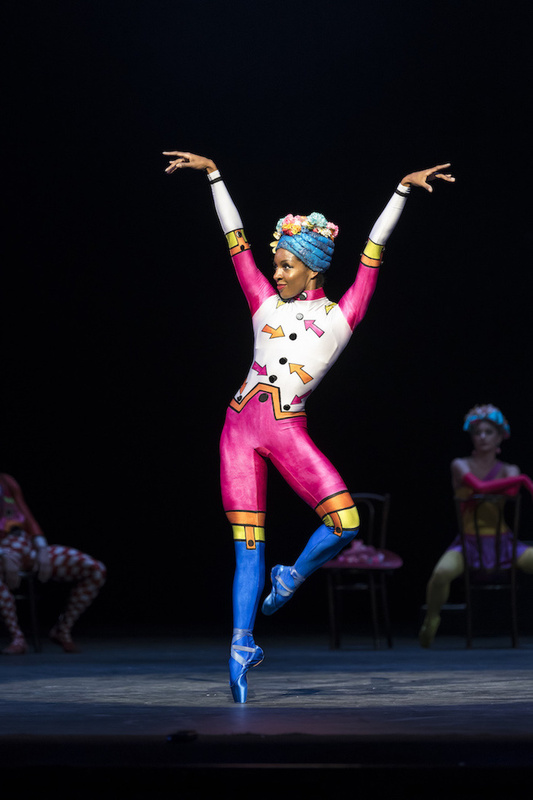 Michigan-native Precious Adams trained at the Detroit-area Academy of Russian Classical Ballet, National Ballet School of Canada, the Academy Princess Grace Monte Carlo in Monaco and the Bolshoi Ballet Academy in Moscow. She joined ENB after her double prize win at the Prix de Lausanne in 2014. She was promoted to first artist in 2017 and has shone in company works including William Forsythe's In the Middle, Somewhat Elevated, Pina Bausch's Le sacre du printemps, Song of the Earth and recently in Elite Syncopations at the Royal Opera House as part of Kenneth MacMillan: A National Celebration. Born in Alicante, Spain, Fernando Coloma joined ENB in 2017 as an artist of the company, having previously danced with Victor Ullate Ballet. 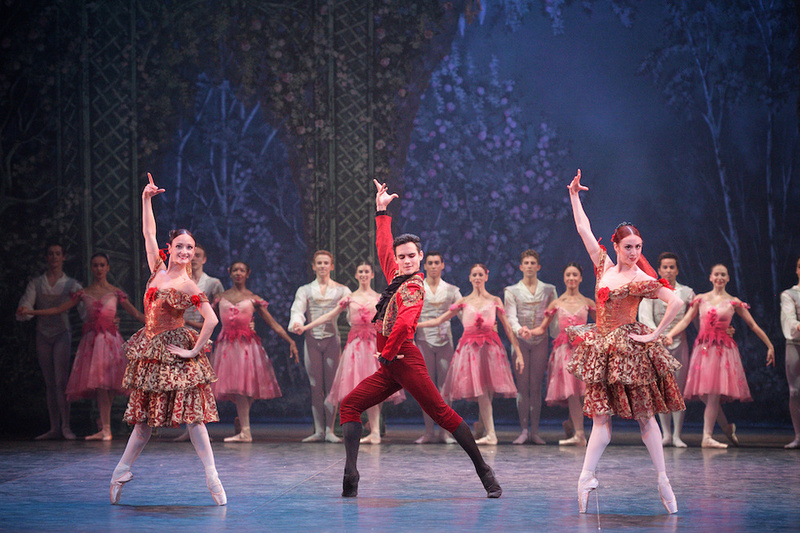 In his short tenure with the company, he has performed the principal roles in Nutcracker and in Song of the Earth. Giorgio Garrett trained at Palma's Conservatoire of Music and Dance and at the Royal Ballet School. He joined ENB as a company artist in 2016 from The National Ballet of Canada. In 2011, Garrett was awarded the "Encouragement and Potential Award" at Young British Dancer of the Year, followed by the "Commendation Award" in 2012. Giorgio has danced with ENB in works including Akram Khan's Giselle, Romeo & Juliet, Nutcracker, Song of the Earth and La Sylphide, in which he danced the role of Gurn. After training with Ballet San Jose School, San Francisco Ballet School and Houston Ballet School, Daniel McCormick danced with Houston Ballet before joining ENB in 2017 as an artist. At ENB he has danced in productions including Song of the Earth, La Sylphide and Nutcracker, in which he danced the Spanish divertissement. Francesca Velicu trained at the Choreography High School Floria Capsali in Bucharest and at the Bolshoi Ballet Academy before dancing with Romanian National Ballet. She was awarded second place at the 2013 Youth America Grand Prix in the Junior Category and was a gold medal winner at the 2012 World Ballet Competition. Since joining ENB in 2016 she has been promoted to first artist in 2017 and has performed as The Chosen One in Pina Bausch's Le sacre du printemps, as Effy in La Sylphide and as Clara in Nutcracker. Velicu was also one of Pointe's 2017 Stars of the Corps. Connie Vowles joined ENB as an artist of the company in 2016. After training at the Royal Ballet School, she joined The Royal Ballet on their U.S. tour and Birmingham Royal Ballet on their tour of Swan Lake. Since joining the company, Vowles has danced in Romeo & Juliet; La Sylphide, as a Lead Sylph; and in Nutcracker as Louise/Mirliton and as a Lead Snowflake. In 2017, she performed in Space for Everyone, an original short film made in collaboration with English National Ballet, the V&A, and Boiler Room.